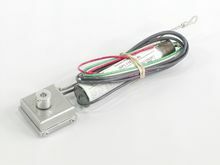 The SP1 Smart Pulser was designed to fit any Veeder-Root® computer, so stocking multiple pulser models is unnecessary. The SP1 was designed to be very durable, and contains special circuitry which makes it more accurate than any other pulser on the market. Compatible with ALL Veeder Root mechanical computers (101, 2001, 2002, 2002E, VR-10, VR-10/4) for money or gallons. Small size allows mounting where other pulsers cannot. 12VDC, 110VAC, and 220VAC models available.